Bone, muscle, and joint pain can be debilitating – keeping sufferers from enjoying a normal life. Orthopedic doctors are specially trained to diagnose and treat these types of musculoskeletal conditions. Since these ailments can afflict everyone from infants to “weekend warriors” who are training for their next marathon, there are a variety of specialties in the field of orthopedics to cater to each individual’s needs. These medical experts treat a variety of disorders including broken bones, clubfoot, scoliosis, spina bifida, and infections of the bones, muscles, and joints. Because children are still growing and their growth plates are still moving into place, pediatric orthopedics can be extremely delicate. From spinal fractures to back injuries, surgery is a frequent solution to healing musculoskeletal injuries. 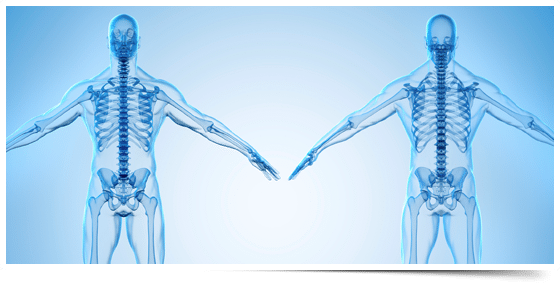 In fact, surgery is so integral to the role of an orthopedic doctor that the terms “orthopedist” and “orthopedic surgeon” are often considered one and the same. Highly-trained graduates of extensive and rigorous medical programs, orthopedic surgeons have proven their grasp of knowledge by getting the stamp of approval of the American Board of Orthopedic Surgery, and are required to attend continuing education courses to stay at the forefront of the specialty. Rheumatologists are specialists who cater to patients with rheumatoid arthritis, which is an autoimmune condition that can severely affect the joints. But for many people, it’s hard to make a decision between whether to visit a rheumatologist or an orthopedic surgeon. If you’re experiencing pain all over your body – rather than pain in one area, or pain caused by an injury – you may need to seek the advice of a rheumatologist. Consider your other symptoms: stiffness, fever, fatigue, and chest pains can be indicators that you may have rheumatoid arthritis. From the athlete who is pushing toward another season on the field to your friend next door who’s training to run their first marathon, people who participate in sports place greater strain on their musculoskeletal system. This, in turn, makes them more prone to injuries in the bones, muscles, and joints. Sports medicine physicians are a great resource for not only diagnosing and treating ailments brought on by athletics, but also for helping to prevent future problems. Sports medicine orthopedists take a comprehensive approach to healing, looking to medications, physical therapy, injections, and surgical intervention when necessary. How Are Musculoskeletal Conditions Diagnosed? In order to properly target and treat orthopedic disorders, surgeons must first be able to determine the precise location of the ailment. That’s where radiologists come in. Radiologists act as an expert consultant to your referring doctor, sometimes working in tandem with them during image-guided procedures such as joint treatments or biopsies. Dr. James Talkington of Florida Sports Medicine & Orthopaedics is a fellowship-trained sports medicine physician offering treatment for injuries of the shoulders, elbows, knees, feet, ankles, and beyond. Harnessing the power of the latest techniques and technologies, he and his staff will identify the root cause of your pain and put you on the path to healing. For more information, or to schedule an appointment, call us today at (850) 763-0346. You can also fill out our simple online appointment request form now. We look forward to keeping you in top shape for the active lifestyle you love!